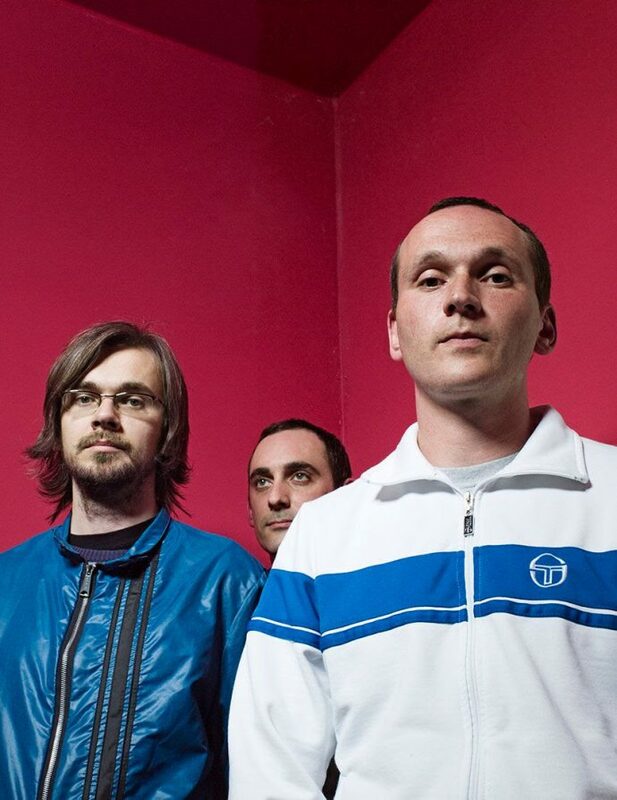 It is hard to believe that it has been 10 years since Fujiya & Miyagi released their seminal album, Transparent Things. In honor of the anniversary, the band is releasing a deluxe edition with a bonus track and their Nike running mix. We spoke to founding member, David Best about the recording their breakout album, playing New York for the first time, and meeting Carl Lewis. You are reissuing Transparent Things. The album is considered by many to be your masterwork. Do you feel it is your best album? I feel it defined our aesthetic so I can understand why it would be a favourite if you like our group. It was also most people’s introduction to us so that always plays a part too. I don’t really have a favourite record of ours, I see it all as one entity moving forward to an unknown destination. I’m fond of Artificial Sweeteners. The more you do the smaller each component part becomes. I am really proud of Transparent Things though and how off the back of that record it enabled us to travel and make more records. What is your fondest memory from the recording the album? We were and remain predominantly DIY so the recording was stretched out over a long period of time. It’s probably a cliche but there is something special about writing music before you are really known to the public or critics. There’s a purity to it that’s impossible to replicate. If I was to try to be more specific, working on “Ankle Injuries” was probably my highlight. It felt like a classy song from its inception, and, rhythm aside, unique to us. Post Transparent Things, my highlight would be playing New York for the first time and having an audience there which we didn’t know we would have. Re-listening to the album, is there anything new you have noticed about the album? To be honest with you, I haven’t re-listened to it. I’ve skipped over it to check it sounds good but I haven’t listened from start to finish. I trust Steve technically to make sure it is as it should be. I did notice my voice is higher and has a naive quality to it which it doesn’t really have now. Its hard to talk objectively about something you are involved in but I do feel the record and us as a group are quite idiosyncratic which is something i’m proud of. In general though, I try not to look back as I’m more into what we will be writing next. “Photocopier.” It contains so much information in it but somehow avoids seeming clunky or overworked, unlike an actual photocopier. The beat is pretty ace too. I suppose it’s an odd song in many respects but it doesn’t feel self conscious or like it’s trying too hard, even though we probably were. I remember being in LA once after we played a show. Someone came up to me and said ‘ No matter what happens you’ll always have written “Photocopier” which i think is pretty funny and quite a nice thing to say. The album comes with a bonus CD that features “Different Blades For The Same Pair Of Scissors.” How did you guys get hooked up with Nike? It was the Italian arm of the sporting company who commissioned it. I remember we got some nice trainers when we went to Rome. We also ending up playing a show at the finishing line of a race in a colosseum. This coincided with my first attack of gout. I had to play sitting down with my leg up whilst the athletes ran to the left of us. Carl Lewis was there, as an aside. What was it like writing music specifically to be run to? It was enjoyable. We wrote it really quickly. Perhaps we were too literal with our interpretation of the brief but it definitely has its charms. Maybe if it were blander and more generic it would have reached a wider audience. That seems to be how these things work. Finally, you have European tour dates through the end of the year. What does 2018 have in store for Fujiya & Miyagi? We are working on our next record, but we haven’t fully decided what form that will take yet. We may do a 12″ before it on our own label. We’ll continue to play shows. I’ve got some other things I’ve been working on too which will probably see the light of day at some stage. Over the last few years it feels like the group has regained its initial momentum which feels really good. I feel like our best songs are in front of us which is a nice feeling to have.